This kitchen is simple and symmetric with its neutral color palette and congruent cabinetry. 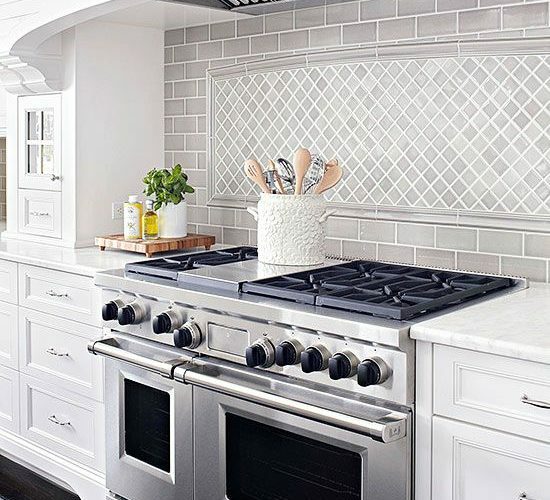 A gray ceramic-tile backsplash matches the room’s color scheme and style, but an eye-catching inset above the range instantly adds a visual interest on a long wall. The angled tiles are framed with a slightly arched top, drawing attention to the space while still aligning with the kitchen’s style.